Stone Age provides bespoke stone solutions for architects, interior designers and home owners. We continually source and discover new stone from around the world. Whether you are looking for stone flooring for a contemporary or period home, a kitchen worktop, stone for a bath surround, vanity unit, staircase or a swimming pool, Stone Age will help you find the perfect one. A family-run company, our staff are knowledgeable and friendly and we like finding stone solutions that don’t come ‘out of a box’. LPC are market leaders in the supply and installation of solid polished concrete floors. Polished concrete floors are becoming increasingly popular in homes, with a range of finishes and colours meaning they can be specified in colours other than grey. Polished concrete is hardwearing, easy to clean, improves with age, will not harbour dust mites and provides a neutral backdrop for your interior design scheme. It can be used inside and out for a continuous floor scheme and works fabulously with underfloor heating. In addition, we also install Microcement solutions for floors and walls. Microcement was brought about by the need and demand for durable aesthetically pleasing surface coatings for wall and floors. Utilising the combined experiences of artisans, contractors, LPC utilise products that are continually up-dated to meet the fashion and trend requirements of the future. Microcement is an exciting new way to apply colour, texture and character to existing concrete or other surfaces. TOPCRET headquarters is located in Barcelona, Spain, as a leading company in the production and installation of cement-based coverings. Having over 30 offices around the world, manufacturing Microcemento® and BAXAB. From Barcelona to London. We developed a new technology that allows us to cover surfaces with a virtually indestructible material. Baxab’s high resistance allows an intensive and prolonged use, it’s ideal for renovations, dwelling, shops, showrooms, restaurants, hotels, and other high foot transit places. Also works for vertical surfaces such as walls, staircases, showers enclosures; outdoors and swimming pools. No scratches, no stains, no marks, no burns. Nothing so thin is so hard. BAXAB sets no limits on your imagination for design. Since its establishment 20 years ago, Stone World prides itself in superior material quality, supplying goods to fabricators, stone masons and architects all over the UK. Our eye for only the most supreme quality has earned us the ability to supply material to some of the most prestigious locations in the UK. We believe that our long term experience in the trade as well as our more personal long lasting relationships with our clients, has contributed to our current growth. Diespeker is a specialist supplier of natural stone and man-made materials for flooring, tiles, cladding, worktops and treads. Visit our showroom! 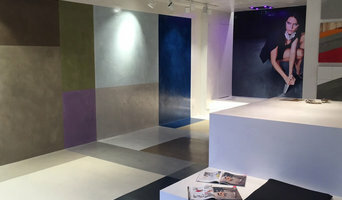 www.diespeker.co.uk/showroom/ The company was founded by Italian entrepreneur Luigi Oderico in Hamburg in 1881. Luigi expanded the business to London, where Diespeker was one of the first companies to offer terrazzo and mosaic to the UK market, alongside marble, granite and slate. Over the years, the business has grown into a refined operation, with skilled craftsmen, the latest in Italian machinery and consummate experience in cutting, processing and polishing. As well as standard materials, Diespeker offers a rare service at the purpose-built factory in South East London; making and supplying bespoke terrazzo using traditional hand casting skills honed over many years. Diespeker products add finesse to any project, and the company has supplied and installed standard and bespoke solutions for such prestigious clients as The Royal Albert Hall, The Waldorf Hotel, Planet Hollywood, Wimbledon Tennis Club, Lloyds of London and Fischer’s of Marylebone. Stone Republic is an importer and wholesaler of natural stone from all four corners of the Earth. Visit our showroom and warehouse in Ansty (15 minutes from Gatwick Airport) to see and feel the UK's widest range of natural stone. Our expert team can advise on the suitability of different materials for any project. We source and supply projects in and around London, the UK and the world. We enjoy a challenge and will source and supply the right stone for your project, be it residential or commercial, internal, external, wall or floor. From a few square metres of Calacatta subway tiles for your splash back or 4000sqm stone for a new hotel. We are best placed to find it for you. We use longstanding relationships with the best quarries and factories to supply the best established well known materials and introduce most exciting new stones and interesting finishes available. We offer a free next day sample service, so call or email us to help with your project. CED Stone Group are one of the UK's leading suppliers of natural stone and hard landscaping products. We keep extensive stocks across our six nationwide depots and can manufacture almost anything from stone. With 40 years experience, we have the largest range of high-quality materials and offer expert advice to ensure you select the perfect product. We're passionate about using our knowledge of natural stone materials to help garden designers and home owners to find the perfect product for their outdoor project. Our friendly and expert team work hard to provide a reliable service and outstanding hard landscaping materials, so that you can create a beautiful and lasting garden design. 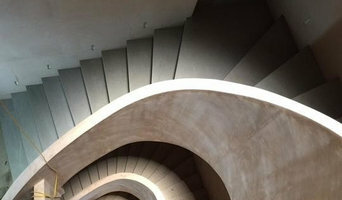 The Polished Concrete Co. are leaders in the field of contemporary concrete design. Our specially-commissioned polished concrete floors fulfil the highest requirements of exclusiveness and durability. Their feel and industrial appearance enhances any architectural style – whether you are looking for a modern, rustic or coolly elegant interior. Stone and Marble Cleaning, Restoration, Preservation and Maintenance Services. 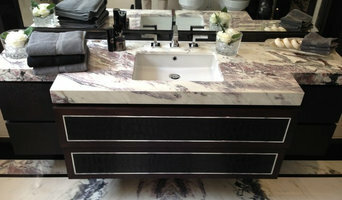 Stone Design London is a London-based company that specialises in high-end residential projects. We understand that in high-end design there are many products and materials which need to be harmonised and different specialists who need to be brought together. Stone Design London grew from this idea, aiming to create effective communication between those involved in the design and construction aspect of any project such as architects, interior designers and main contractors. Stone plays an important role in any project yet it is just one element within a multitude of other design features, albeit an exquisite one. What we do: - supply, template, manufacture and install natural stone including marble, granite, travertine, onyx and limestone - provide project management services - we work with a number of leading interior designers and architects in London and its environs - we can help you with a range of projects including stone work for your bathroom, kitchen, swimming pool, yacht, aviation or any other area where natural stone is required - well-known in the industry for its knowledge, expertise, craftsmanship and excellence in the high-end residential sector Our Managing Director, Omer Karadas, has worked in the stone industry for over a decade, gaining extensive knowledge in several different areas including supplying, manufacturing, installation and project management both in the UK and overseas. Please talk to us as soon as you have decided to use natural stone in your project, we can assist you source samples, give you technical information and much more. 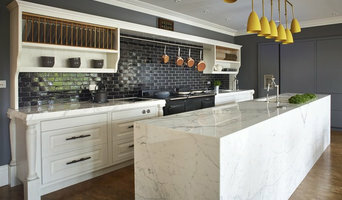 We are one of the leading Solid worktop fabricators in London and surrounding areas. At GMT Stones we continue to invest in the latest technology and services along with new products in the market to ensure we remain in the leading edge of the kitchen worktop industry. Here at GMT Stones, we offer a wide range of bespoke and custom worktops fabricated in-house by highly skilled manufacturing team and then installed by highly skilled staff to guarantee satisfaction for every job. Our worktops are manufactured in a wide range of materials including Granite, marble, Quartz, and porcelain worktops. At GMT Stones we are specialized in providing a huge selection of Granite, Quartz, and marble for kitchen and bathroom tops. Our comprehensive service from templating and installing the perfect material with the high quality of customer care makes us one of the leading companies in Stone manufacturing and installation. The Marble & Granite Centre Ltd. The Marble & Granite Centre Ltd was established in 1993 with the aim of providing an innovative and flexible approach to the supply of natural stone products. Based around the founding principles of quality, choice and service, the company has been shaped calling upon a lifetime of industry knowledge and experience, along with a unique passion for customer satisfaction. As a company in the UK, we are newcomers, but we’ve managed to gain a lot of projects and work from a short period of time, which means a lot to us. Rarely new companies manage or gain such stable position in this kind of industry - all thanks to our past 10+ years of experience in Greece, we’ve developed our strong portfolio, professional service and managed to bring it to the United Kingdom. Our road map is pretty simple and we’re not taking all the fun, we’re planing to give out franchise in all possible cities and regions, giving a chance for other business men to gain success and to build new jobs, amazing driveways and patios all over Britain, with the amazing equipment, training and support provided by us. Company Based in South West of London. We provide proudly our services to the following regions; EAST OF ENGLAND, EAST OF MIDLANDS, GREATER LONDON, SOUTH EAST, SOUTH WEST, WEST OF MIDLANDS. Chilstone provide a bespoke architectural service to architects, builders, developers, landscapers and the general public. Since 1953 the craftsmen at Chilstone have created handmade garden ornaments and engineered architectural stonework at our workshops near Tunbridge Wells in Kent, England. Our beautiful showgardens are open to the public all year round and feature many of our finest garden ornaments, sculptures and garden buildings with an array of working stone fountains, temples, stone urns, sundials, birdbaths, benches and pedestals - all created in our unique cast stone. Chilstone garden ornaments represent the highest standard of English craftsmanship - our work can be seen in some of the world's greatest gardens including the Royal Horticultural Gardens at Kew, at palaces such as Hever, Warwick and Kensington and in spectacular private gardens such as Sir Roy Strong's The Laskett on the Welsh borders. We are equally proud to say that there is a Chilstone cast stone garden ornament suitable for even the smallest of gardens. Our 35 acres of grounds are set in the heart of some of Kent's most beautiful countryside, just 4 miles outside Tunbridge Wells. A variety of tourist attractions and some of Kent's award winning pubs and restaurants are all within easy reach. A visit to our gardens and sculpture walks gives you a chance to explore our extensive woodland and lakeside walks, each featuring examples of Chilstone cast stone garden ornaments including our most popular fountains, temples, benches, urns and sculptures. Entry is free and dogs on a lead are most welcome. What services can concrete specialists, pavers or stonemasons in Biggin Hill, Kent offer me? As well as pavers, Biggin Hill, Kent stone specialists can supply natural stone wall cladding, provide stone indoor flooring and stonemasons in Biggin Hill, Kent could even handcraft stone fireplaces, create worktops or sinks in stone and design beautiful stone architectural pieces for your home. You can find all sorts of stone, concrete and paving experts with Houzz, so if you fancy some paving indoors or outdoors, or you’d like some stylish stone added to your home, this is the place to find an expert for the job. Browse Biggin Hill, Kent pavers, stonemasons and concrete specialists in our Find Pros section. Compile ideabooks containing images of attractive paving stones, edging stones and concrete paving slabs, as well as clever garden paving and rockery ideas. Make a shortlist of at least three relevant paving experts or stonemasons in Biggin Hill, Kent and then approach them for a free consultation. You can also ask friends and relatives for recommendations. Whatever you do, make sure you have a loose brief and budget, a few questions about things such as maintenance – how to remove heavy stains such as oil or bird droppings for example – plus a few visual references to spark conversation with your paver or stone specialist. Find a stonemason, paving expert or concrete specialist on Houzz. Narrow your search in the Professionals section of the website to Biggin Hill, Kent stone, paving or concrete specialists. You can also look through Biggin Hill, Kent photos by style to find a design you like, then contact the paver or stonemasons in Biggin Hill, Kent that worked on it.